The assessment of water ressources in quaternary sediments requires advanced knowledge about the geometry (depth and continuity) of gravel (porous) bodies. 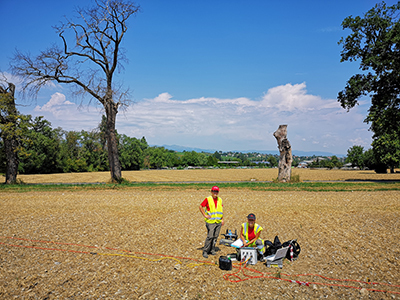 The acquisition of 4 electrical tomography profiles allowed the identification of the contacts between gravels, and finer sediments. 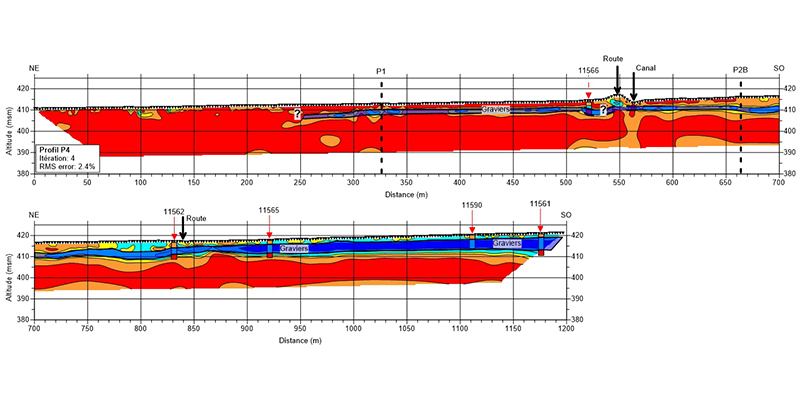 Here, a strong contrast in resistivities was found and the different lithologies could clearly be identified.